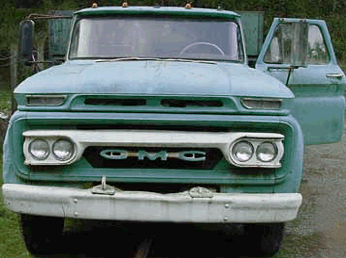 Express Demolition and Hauling started in 1995 as Express Hauling; a junk removal company with one very old and scary truck, one very resilient and diligent man and one very determined and resourceful woman. Working long hours for little pay Anena Marchand put her life savings (and even money borrowed from family) into her startup. She soon came to realize just how grueling the junk removal business could be, and as it turned out she also realized she had a very high tolerance (higher than ever imagined) for brutally hard work. 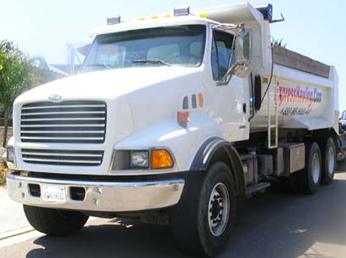 Since those early days Express has grown into a full service demolition and hauling company. Through hard work and dedication we were able to get through hundreds of backbreaking jobs where the money was low but our hopes were high. Along with our high hopes we have always had high expectations of ourselves and our employees for performing quality work. We have spent years tailoring a corporate culture built specifically around job quality and incredible customer service. A question not easily answered in mere words alone; you would have to see the work being done to really get a good answer to that question. It’s not just that Express has the best equipment in the San Diego demolition business (which it does), and it’s not just that Express has the most competitive pricing (which it does), it’s about more than having the best equipment and fairest prices. At Express Hauling it’s about a job well done, it’s about repeat customers and it’s about safety. We know you work hard for your money, and we want you to know that when you hire Express, we’re going to work hard for our money too!